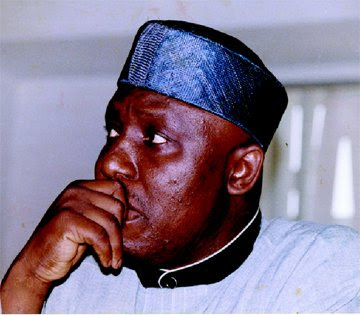 A socio-political group, G42 Imo Liberation Forum, has warned the Okorocha government to desist from “waste of tax payers’ money”. The group said it received information that the administration is set to spend N850m on erecting a tree ahead of Christmas celebration. Okorocha was recently criticised by Nigerians for erecting a statue of South Africa president Jacob Zuma, in Owerri. In a statement on Saturday by G42 Director of Communications, Dr. Walter Duru, the forum described the alleged plan as misplaced priority and a sign of government’s insensitivity. “This is coming at a time Civil Servants and Pensioners in the state are being owed several months arrears of salary and other entitlements; while poverty is at its highest level in the history of the state. The situation is made worst by the fact that the dust raised by the over Five Hundred Million Naira allegedly spent in the building of a Statue for the President of South Africa, Jacob Zuma is yet to settle. “We refuse to treat this as mere speculation as history has shown that this is not far from the style of the present administration in the state; a government that is not accountable to anyone and is run in utmost secrecy. “The government must tell Imo people how much it actually spent on erecting the ridiculous Jacob Zuma Statue and others there-in, as well as the said Christmas tree.